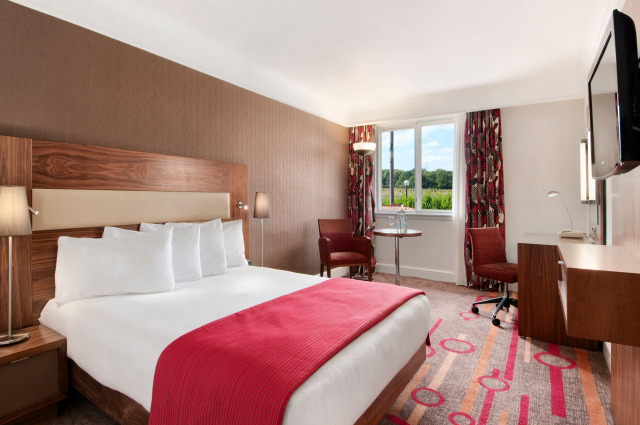 Welcome to DoubleTree by Hilton Newbury North, set in the beautiful countryside just outside of the market town of Newbury. 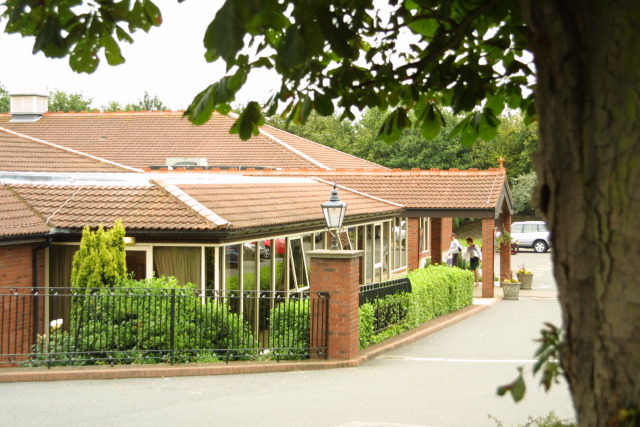 Conveniently located near the M4 motorway, our newly refurbished hotel is just 10 minutes from Highclere Castle (home of TV's 'Downton Abbey'), Newbury Racecourse and Newbury Showground. Count on a pleasant stay and a wealth of amenities, starting with a warm DoubleTree chocolate chip cookie at check-in. 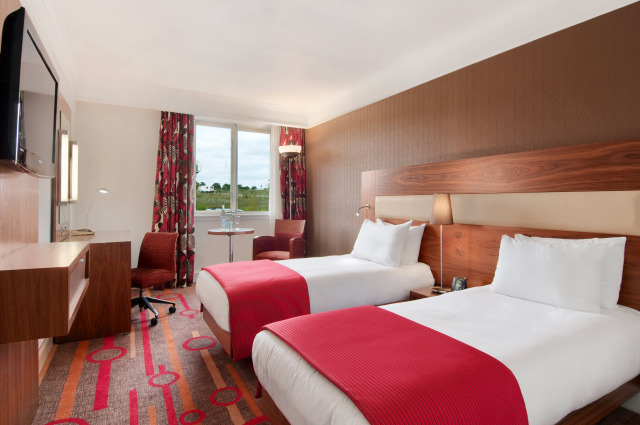 Our fresh and modern guest rooms offer complimentary WiFi access, a 32-inch LCD TV, desk, USB charging ports, in-room safe, tea/coffee making facilities and air-conditioning. Here a few days? Upgrade to a deluxe room with extras including still and sparkling mineral water, cosy bathrobe and slippers and late check-out. Gather with friends and clients in our all-day dining area, The Space, with freshly brewed Starbucks® Coffee and a menu of favourites expertly prepared with locally sourced ingredients. 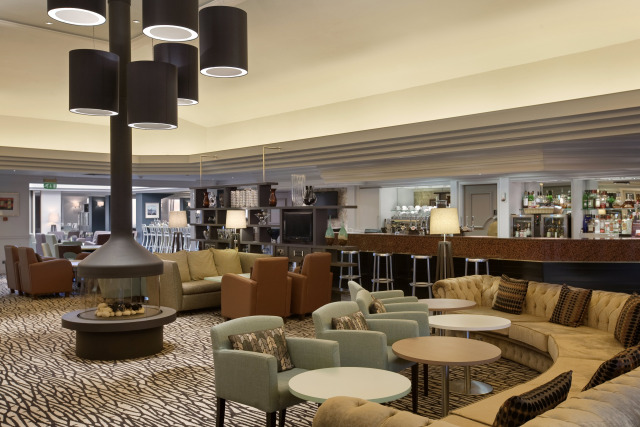 Lounge seating, charging stations, Bluetooth connectivity and complimentary WiFi add to the warm and inviting atmosphere. Take a dip in our heated indoor pool and whirlpool, or unwind in the sauna and steam room. Work out in the fully equipped fitness centre, or relax in the hotel lounge and charming courtyard. 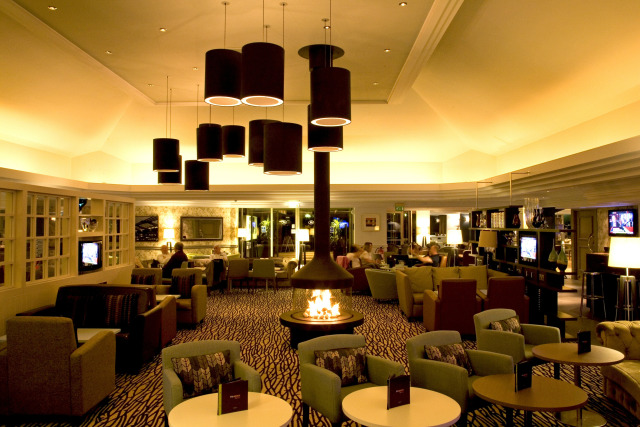 Our stylish function space hosts up to 80 people–perfect for small events and intimate weddings. Exclusive use of The Space restaurant is also an option for private dinners and special occasions. 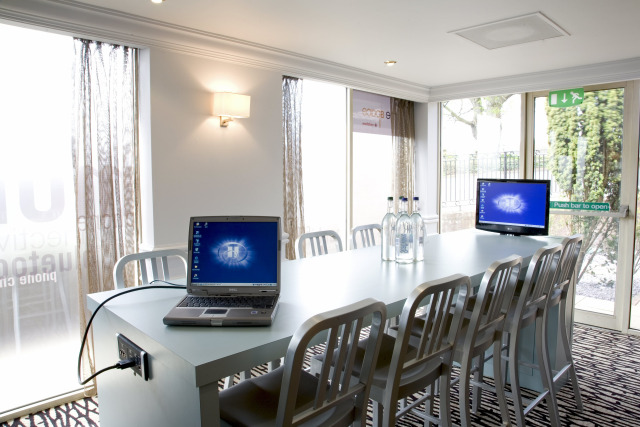 Contact DoubleTree by Hilton Hotel Newbury North directly or use our simple contact form.